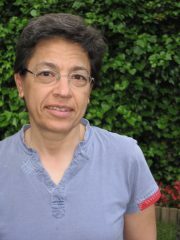 Dr. Carme Jordi is a senior scientist and lecturer at the University of Barcelona. Her research field includes the physical characterization of single and binary stars and of open clusters, based on astrometric, photometric and spectroscopic observations. She has been involved in space missions such as Hipparcos and INTEGRAL of the European Space Agency (ESA). Since 1998, she is fully engaged in the astrometric space project Gaia, and mainly in the design and calibration of the photometric instrument. She is a member of the Gaia Science Team, the scientific advisory body of ESA for this mission. Carme also participates in outreach activities for high school students and general public.